I’ve had a lot of lovely feedback following my recent blog about supporting your non-profit teams to wellbeing. It seems to have struck a chord with my coaching clients and other leaders looking to make the world a better place and help their people thrive. Just yesterday I was talking to a senior leader in an NGO. She shared how some of her team take on too much because they are so dedicated to the work. They get super stressed and come to her for help when they are at their wits end and really struggling. She’s very clear that their health and wellbeing must come first and we’re planning a two-day wellbeing residential in the New Year. It may be that her plans are beyond your budget. But there’s lots you can do on a smaller spend. I’d love to see more third sector organisations taking wellbeing this seriously. According to research, 80% of charity workers say they have suffered from stress in their current role. That’s just not ok! In the last blog, I wrote about two of the five pillars to wellbeing from the New Economics Foundation (NEF) Five Ways to Wellbeing Report, commissioned by the government to produce evidence-based actions to improve wellbeing. I promised to return with more, so today let’s look at two of the other pillars. This is absolutely crucial to happiness and wellbeing both in and out of the workplace. 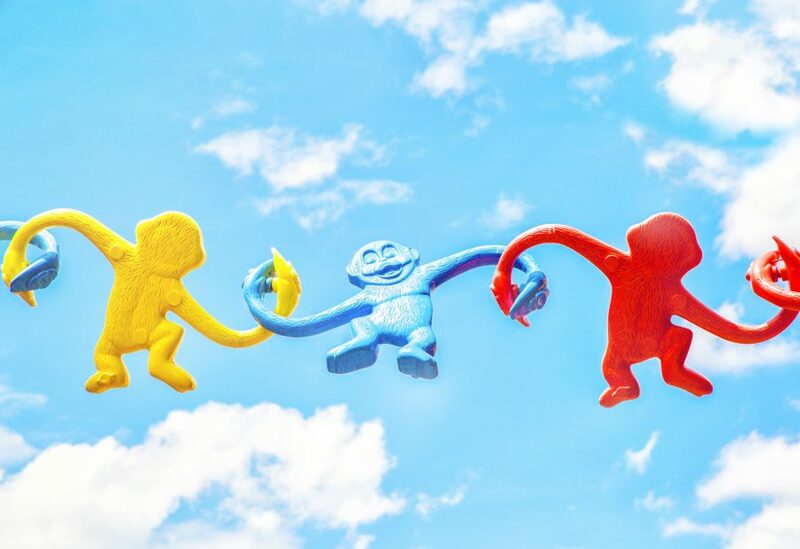 Remote working, siloed teams and increasing workloads are all taking their toll on our ability to connect with other human beings in real life and it’s just not good for us. 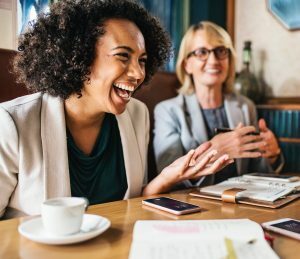 The good news is that there are easy things you can do to boost your team’s sense of belonging and connection. First off, make sure you are talking with your reports on how they are doing, not just how their projects are doing. This is a non-negotiable, in my view. It’s easy to get caught up in chasing targets and meeting deadlines, but people need to feel they matter. One of the most successful low-cost wellbeing arrangements I know is creating a social space for informal gatherings. I’m not talking about forced fun; it’s not compulsory, but the team can meet if they want. I’ve seen this work beautifully at Back Up, the charity supporting people with spinal-cord injury. Staff, including the CEO, gather at a big table at lunchtime whenever they can. They get to hang out with each other to share problems and successes or just talk about the football. Taking a proper break away from their desks also boosts productivity in the afternoon. It’s a win-win! A positive culture of investing in personal and professional development is essential to wellbeing. There are so many ways you can support your team to keep learning in their roles. Adopting a coachly approach in one-to-ones and other work conversations is a proven, no-cost approach that supports your team to find their own solutions to work challenges. How about considering job swops for a couple of days? Could you arrange shadowing? Is there some online training that would really enhance someone’s development? The learning doesn’t have to be all about an individual’s job. You could explore holding a ‘lunch and learn’ session once a week using the expertise in the organisation, or a book swop in the foyer. Another of my clients, Forum for the Future, regularly gives staff the opportunity to take ‘learning Fridays’ out of the office. Staff should use the time to enhance their own learning in some way, but beyond that there are no rules. This pillar is all about creating a culture in which learning and growing is valued and encouraged. When these initiatives are designed and managed by staff themselves they are even more powerful. I’ll be taking a look at the final pillar to Wellbeing, ‘Live Mindfully’, in another blog. Are there people in your team who are isolated and in need of some connection? Do you have any great ideas for encouraging an atmosphere of growth and learning in your workplace? I’d love to hear your thoughts and ideas, so please do share in the comments below. If you’d like to chat about my no-cost taster workshop/talk on wellbeing for non-profit teams, drop me a line at katie@be-the-change.org.uk.